Each Project Manager has his/her own pathway to making their project successful. Some factors are more important than the others, but some are critical to a project manager of any level. What are the key factors to completing your projects on time and within the budget? 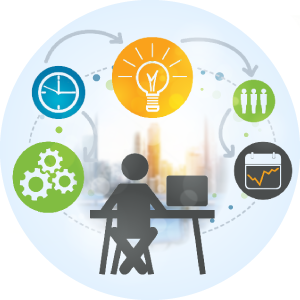 How can you get projects back on track? How to be an excellent project manager? Read 15 practical project management tips from three Infopulse Project Managers to learn from their own experience and the best practices. Get feedback! You can’t say you’re successful, if you have no feedback from your customer. Can your project be a case study? Only the best projects should be included into your corporate portfolio. If a project is not good enough to be shown to your leads, consider improving your product portfolio. If you have nothing to show, you might need to refine your business approach in a long run. Talk to your team members. Is your team satisfied with the project outcome? Your team will be upset about the project failure. Communicate proactively to know the state of the project, don’t wait till the end! If your project is going into the wrong direction, how do you get your project back on track? First of all, don’t panic! Don’t change your goals, change your strategy! Review and audit, find your weak points! Do not be a boss, be a leader. Inspire, guide, coach and help your colleagues! You have to know everything about the project you’re working on. Imagine you are a Sea Captain. You should be able to temporarily replace almost any team member. Your team should teach you more than you teach them. People you’re working with are an invaluable source for fresh ideas, recent trends and new perspectives. Always listen to your colleagues’ ideas and thoughts. Always manage scope, time, resources, and costs. Quality should be the top priority. Trust your people. If you followed our previous tips, you have the best talents involved into the project already. Just give them as much responsibility as they can handle. Don’t push your team. Offer your help when needed. Always remember: One Team, One Goal! 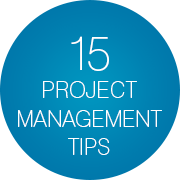 If you found these Project Management Tips useful or if you can share some PM tips from your own practice, please leave your comment below and get quoted in our next article on Project Management!